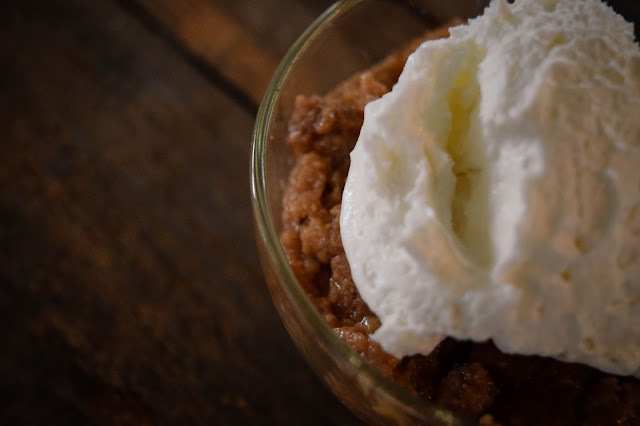 Persimmon pudding is an old fashioned classic in the Midwest during the late fall and winter months. 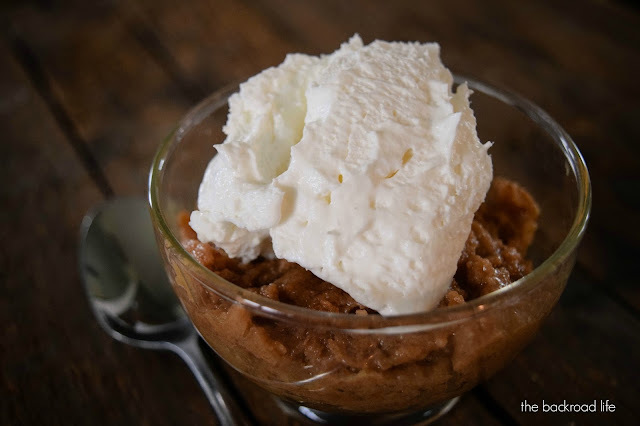 A dense, moist, sweet and almost custardy type dessert - a delicious flavor to enjoy along with all the other favorite fall flavors! Persimmon is in season here in Indiana in the fall months. Persimmon are grown in the southern part of Indiana. There is even a Persimmon Festival in September. 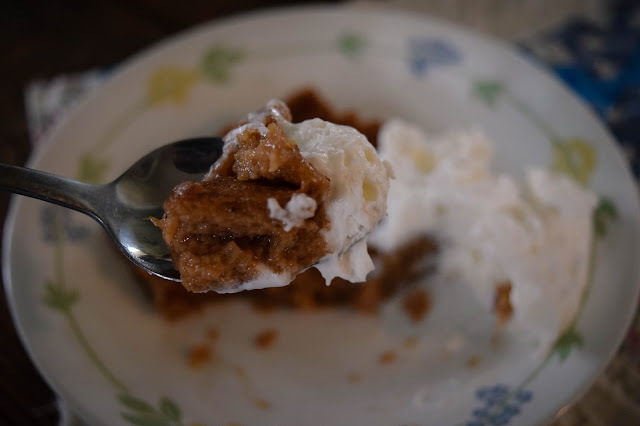 Persimmon pudding is a favorite old fashioned dessert for the fall and winter months. I was introduced to persimmon pudding a few years ago! It's actually one of my dad's favorite recipes that my grandma makes this time of year. I had always heard them mention it, but had never tried it until a few years ago. I loved it too!! This is a recipe my grandma learned from her mom, I asked her if she minded if I shared it here. Combine all ingredients into a large mixing bowl and mix with a handheld mixer until mixed well. 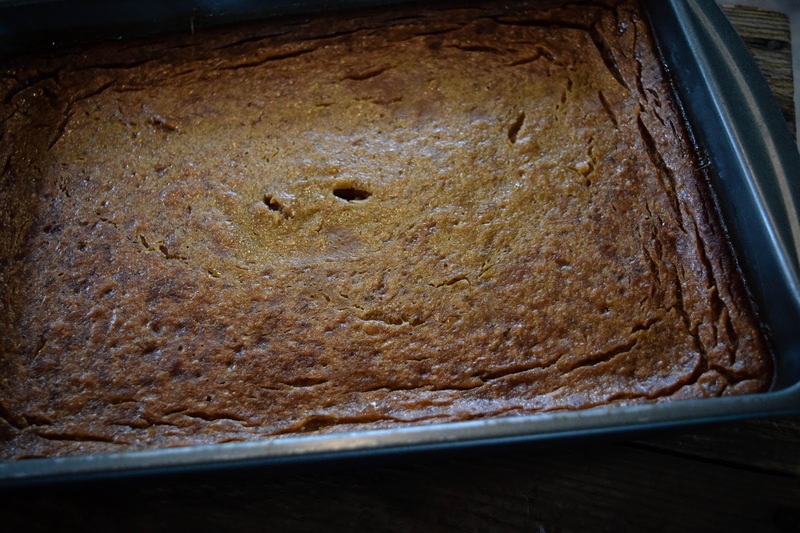 Pour mixture into a 9x13 baking pan and bake for 50 minutes at 350 degrees. Stick a butter knife or toothpick in the center at the end of the 50 minutes to check if the pudding is baked all the way through. Bake a little longer if it's not. Cool to somewhat warm before serving. Top it off with cool whip before serving. Serve it in cut out squares or dolloped in a bowl. Once cooled, the persimmon pudding can be stored at room temperature for about 8 hours. Then in the refrigerator for a day or 2. Simply reheat until warm in the microwave to enjoy more. 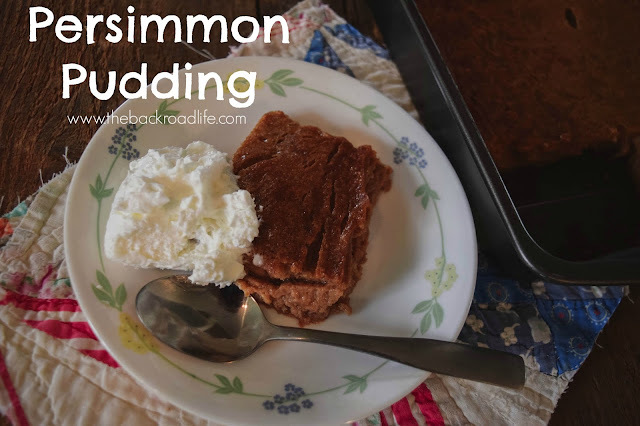 Persimmon pudding is a lightly spiced, with its own flavor, baked pudding that is similar to a custard with a pumpkin pie texture. Thanksgiving is almost here and it would be paired perfectly with a big Thanksgiving feast. Add persimmon pudding to your Thanksgiving menu this year and years to come.